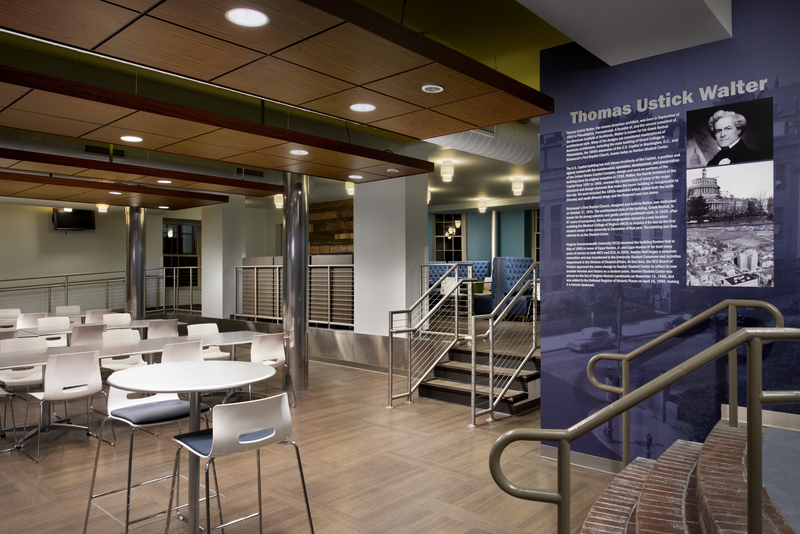 The Hunton Student Center, located on VCU’s Medical College of Virginia (MCV) campus, began as the First Baptist Church in 1841 and since 1938 has been the MCV campus’ student center. 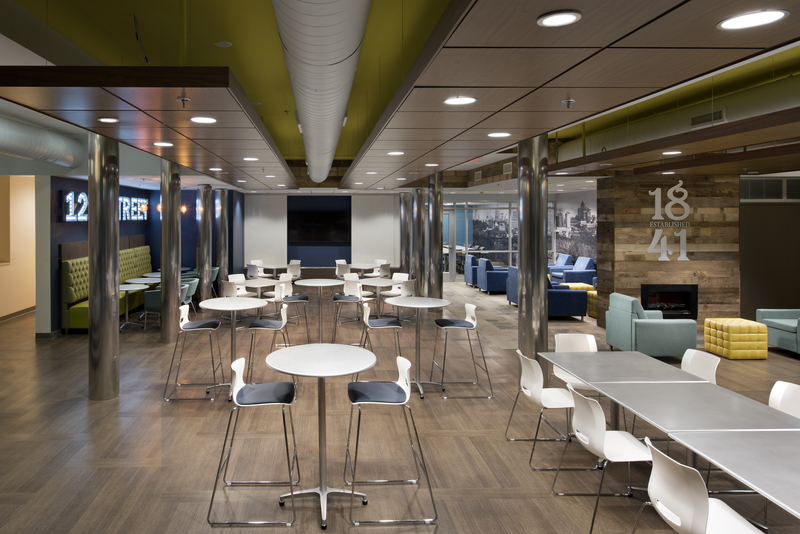 The design team was given the opportunity to transform the underutilized lower level dining area into a unique event experience. By engaging a variety of stakeholders including facilities management, event staff, leadership, and students, the design team came to understand the rich historic relevance of the building along with the need for students to experience a departure from their institutional learning environments. The design incorporates experiential graphics and brand development to reflect the heritage of the building and the city of Richmond. The brand, alongside the use of natural materials, textures and a fireplace feature, provides a retreat from students’ studies and day-to-day activities. 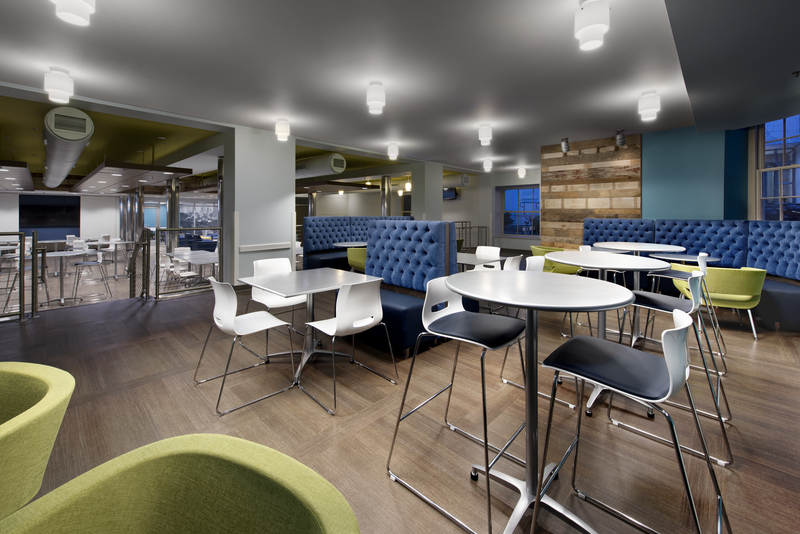 Agile and flexible furniture solutions ensure an adaptable setup for any type of event or activity the space needs to accommodate. 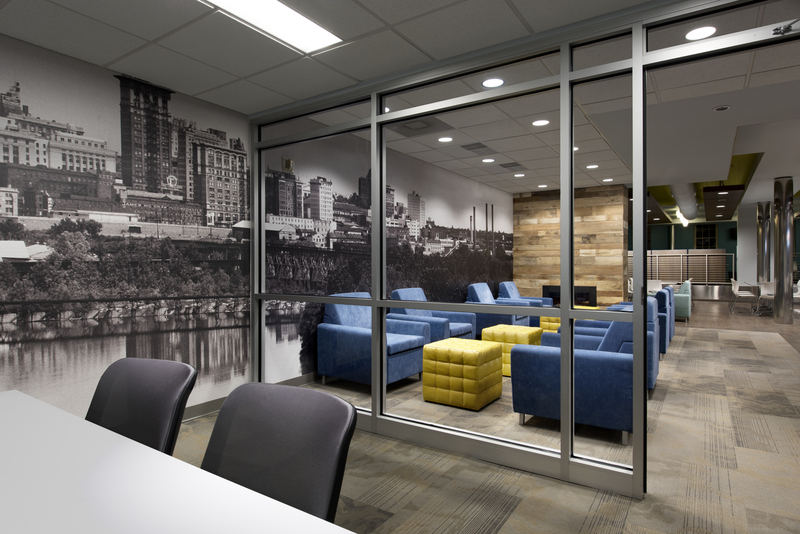 Overall, the hospitality feel of the space provides a retreat and safe haven to the otherwise bustling downtown area and medical campus.